News and Events - Page 4 of 4 - Russell Rescue, Inc. 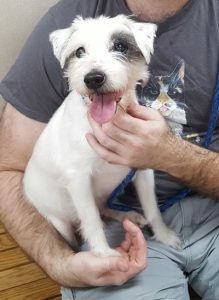 This little senior guy is Romeo and he was found wandering around all alone. His finder, a very kind man, took Romeo to a local vet to have him scanned for a microchip. Romeo did have a microchip and his owner was contacted. When contacted, he said he didn’t want Romeo anymore because he was old. The kind man who found Romeo took him home with him. He contacted Russell Rescue for help and when a foster home opened up, Romeo became one of us. He has been in a foster home for a few months now. Recently, Romeo got into a fight with another dog in his foster home and ended up getting bit in multiple places. Romeo needs your help. 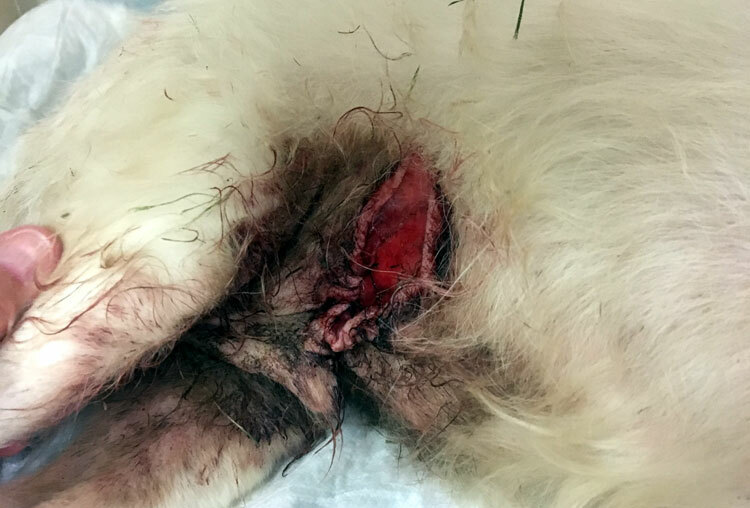 Can you help us pay for the medical attention Romeo needs? As you can see from the photo below, he has a horrific cut on his tummy. We are expecting the vet bill to be around $1,000. Please help us help Romeo! The Texas Two-Step JRTCA trial was held the second weekend in March of this year. Russell Rescue Texas had a large table full of wonderful prizes that we raffled off to benefit our rescue efforts. It was absolutely wonderful to see old friends again and make new ones. Quite a few of our rescue volunteers were there to help. Robyn was in charge but she had Nancy, Patty, Shelly, Melissa, Sandra, and Doreen there to help. We made a lot of money which all goes to help the rescue dogs. Please let us know if you experience any problems. 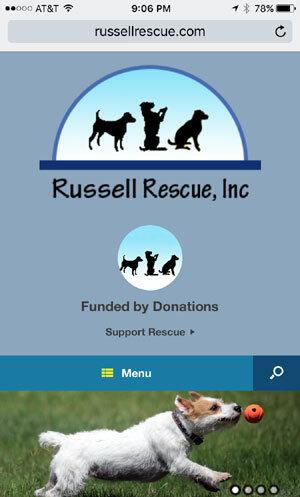 Thank you for supporting Russell Rescue. These Jack Russell Terriers may be seniors, but they still have a spring in their step! 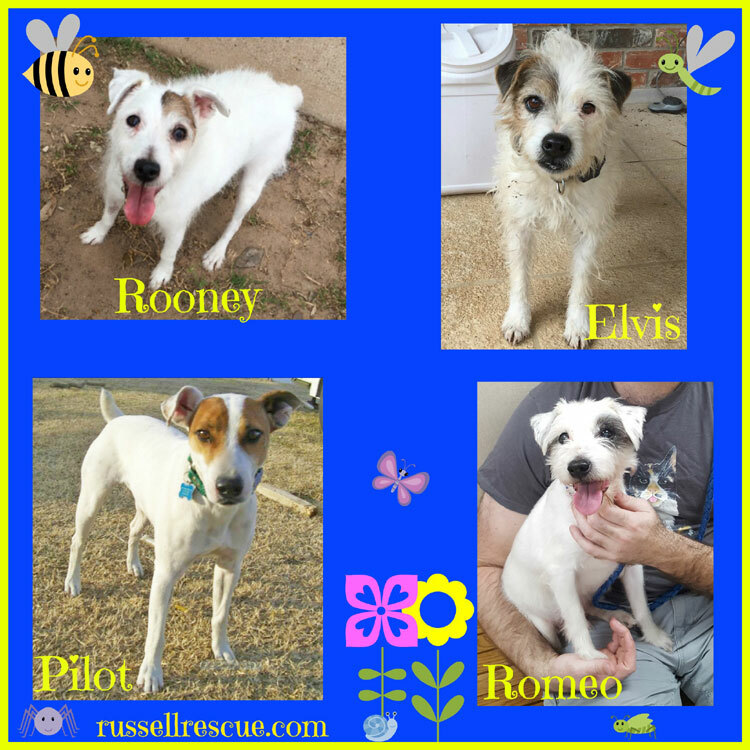 These guys are healthy, active, frisky and ready to play! They also make great snuggle buddies! Check them out on the Available Terriers tab. Look for them by name! Email us if you have questions. 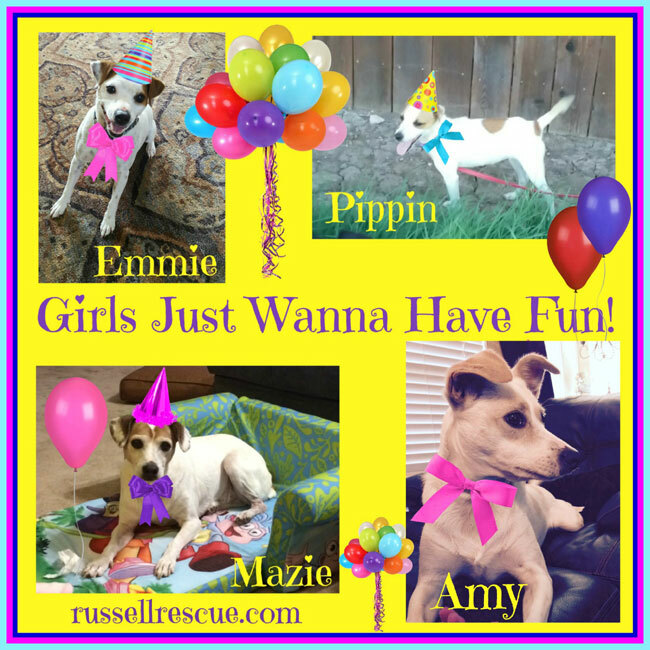 These little Jack Russell Terrier girls are all adorable and so sweet and loving. Adopt one and let the fun begin!! 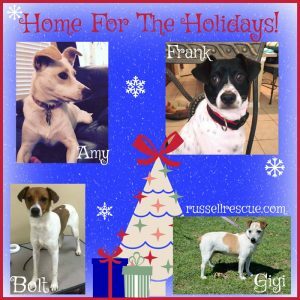 All these little Jack Russell Terriers are hoping to find a home this holiday season. Nothing would make them happier than to find their forever family! 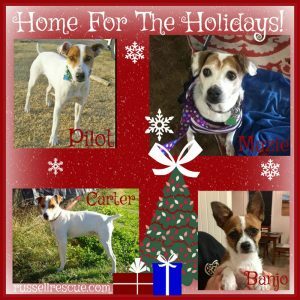 All of the above terriers are available for adoption, plus many others. Read all about each one on the Available Terriers tab.